Each year I just can’t resist getting a big box of apples this time of year. 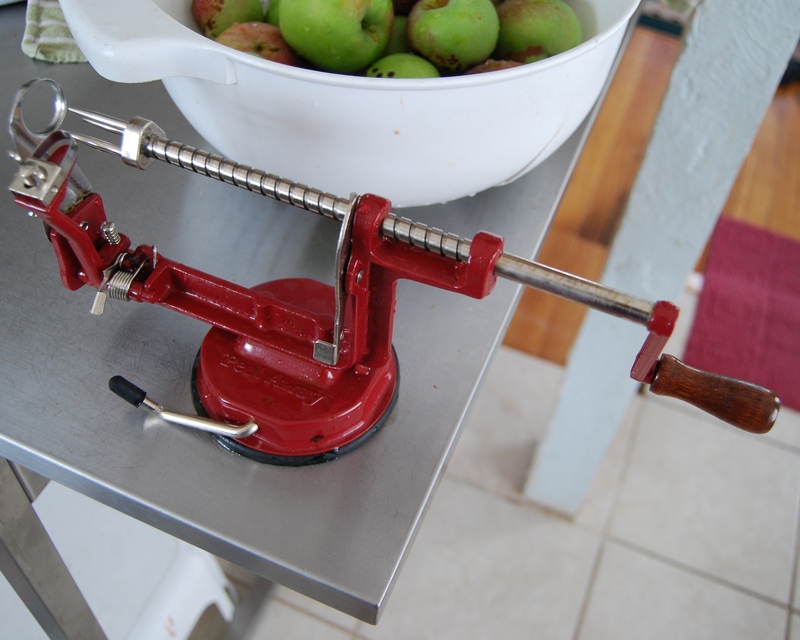 It used to take me forever to carefully peel the apples, cut them up and remove the icky bits. Last spring I went to a rummage sale and a friend handed me a weird looking contraption. “This is exactly what you need” she said with conviction. I dutifully bought it, put it in the basement and forgot about it until this weekend. The Peel Away is amazing! What was even better was that my daughter and husband both found it so intriguing that they helped me; within about an hour all the apples were processed. Here is the loooong peel that comes off. I wonder if this is tossed over the shoulder it will still make the initial of the person one is going to marry? Hope I toss an “A”. 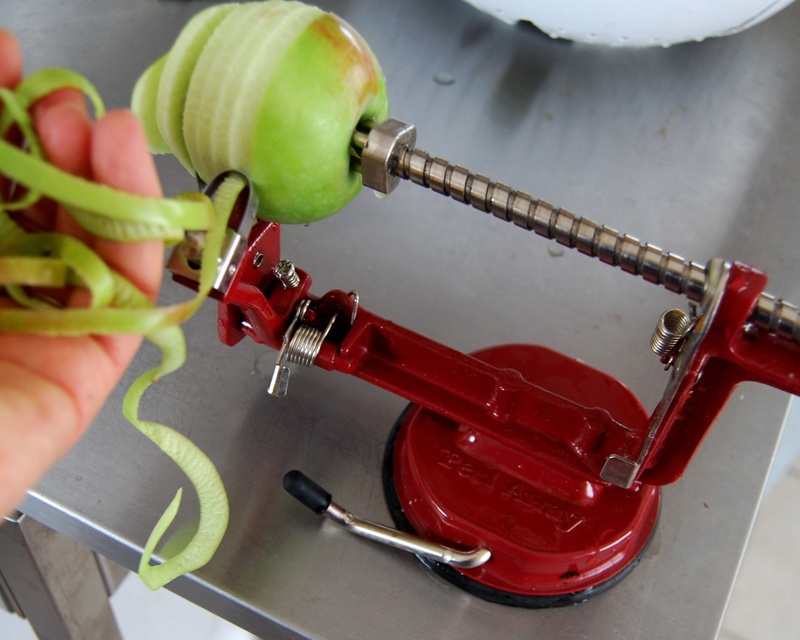 Here is the apple peeled, cored and sliced. 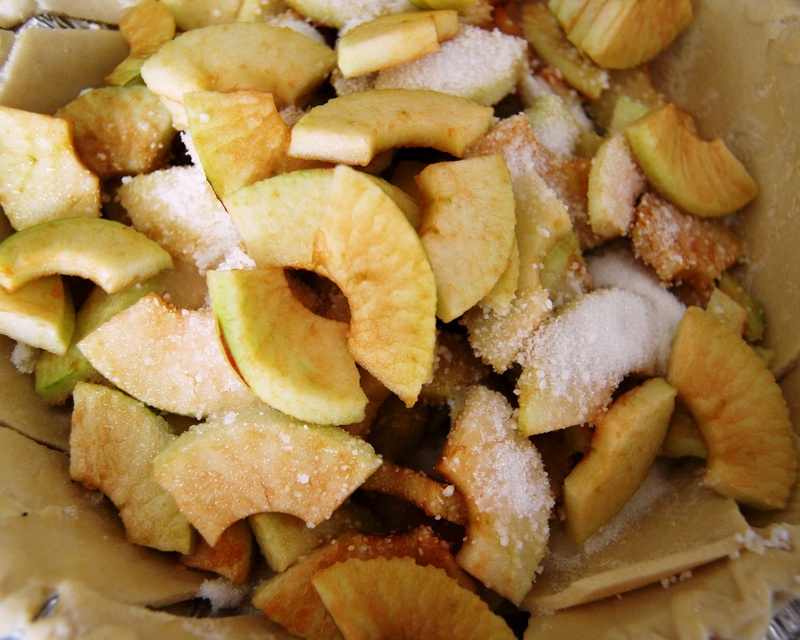 Once the apple is processed making sauce or putting it in a pie is a snap! 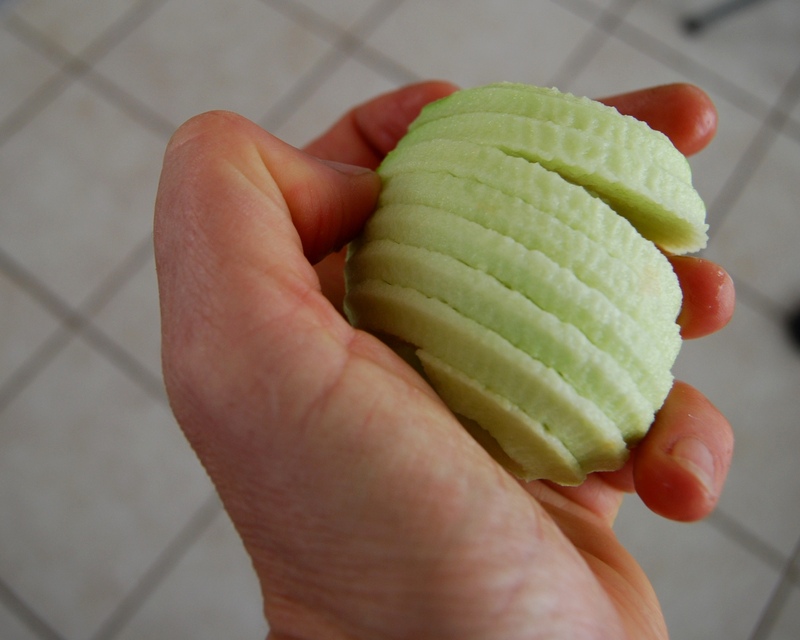 Tonight I am going to try it on asian pears…. I’ve had one for years. In fact, I have two. Don’t know what I’d do without it. p.s. Carpenito’s had the most wonderful Fuji apples today — fresh, very crisp, with complex layers of flavor. Do I need more than one variety of apple to make good applesauce? I like using a blend of apples but if you choose full flavored varieties with a bit of tartness they should work well.